Nam Dam is 45km from Ha Giang city, and 3km from Tam Son town of Quan Ba district. It is inhabited by Dao Ethnic People (Indigo Dao or Long Dress Dao group). The charming village is nestled peacefully in a valley surrounded by karst mountains, holds inside it preserved traditional customs, habits and culture from ancient times which is appealing to tourists. Visitors coming to Nam Dam could enjoy staying at homestays with the local family in their traditional houses. The houses' walls are built from compacted soil to make it cool in summer and warm in the winter, protecting the people here from inclement weather in the high mountains. With fully equipped facilities and equipments, the homestays will make visitors feel happy and comfortable. In Nam Dam, visitors could also enjoy meals including local dishes and specialties prepared by the host from the cozy fire kitchen. For the Dao people, the fire kitchen is not just a place to cook food but also plays an important role in their spiritual life. Nowardays, though the living standard has been changing, the Dao people still maintain the fire kitchen as a Dao cultural tradition. Visitors coming to Nam Dam could walk around the village, enjoy beautiful view of the village with the high mountains and the lovely terraced fields, houses of earthen walls gleamed in the sun.In the village, there is a Cultural Museum which display Dao ethnic daily life tools and artifacts. 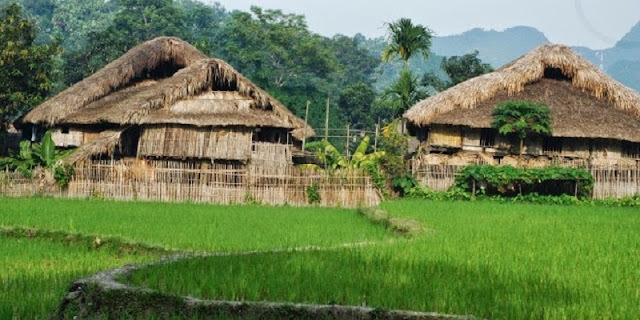 Visitors also have the opportunity to experience hiking and trekking tours, biking tours, motorcycling tours to the neighboring villages of H'Mong, Nung people... and famous places of interest in the region such as the Heaven Gate, Twin Mountains, Quan Ba market,…. 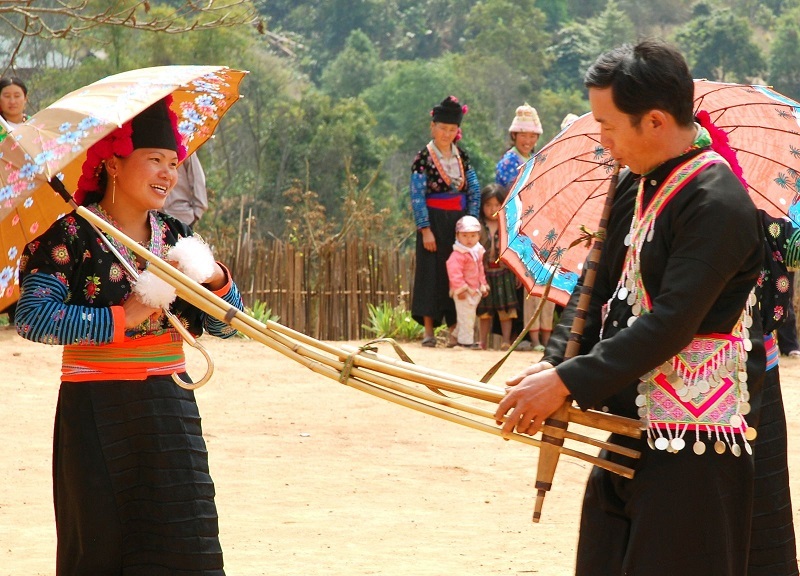 In Nam Dam, visitors could participate in unique festivals and ceremonies of the Dao ethnic minority, the most special one is “Le Cap Sac”. The “Le Cap Sac” is the ceremony to recognize adulthood for young men in the village. There are also “Le mung com moi” and “Le cau mua”, wedding ceremonies. At present, there is a performance team of the villagers to perform Dao traditional dance for tourists. Nam Dam has become an atractive destination in the remote area of northen Vietnam. The local people are now more aware of the bestowed natural beauty and cultural values of their village to preserve it better. Those are good signals toward a sustainable development of community-based tourism!